K2 Martial Arts was founded on the Japanese principle of “Kaisen” – constant and never ending improvement. We continually and obsessively refine all of our programs striving to deliver the best martial arts experience anywhere. The K2 Team continually travels all over the world networking with the foremost leaders in our industry. We consult with and visit the most successful schools to set higher standards, we train with the world’s top martial arts champions, coaches and masters to ensure we are providing our students with the latest cutting edge training techniques, and we continually study the leaders in personal development strategies. We compare and measure the quality of our programs to the most prominent schools in the world – not the region – going well beyond the local standards and ensuring that K2 schools offer a truly superior product. 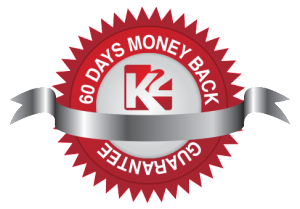 We believe K2 Martial Arts is a global leader in martial arts education and we want to stand behind these statements with what is probably the most outrageous offer in our industry. To reserve your trial for any of our programs simply click the button below.